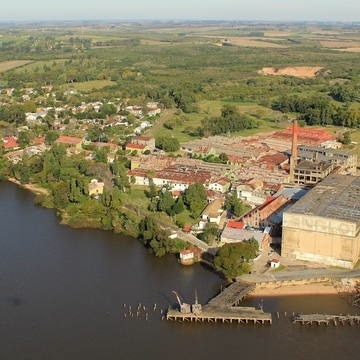 Fray Bentos Plant in Uruguay named UNESCO World Heritage Site, 2015. Lord Vestey’s horse Coulsty races at Deauville La Touques race course. As Latin American Racing Channel awards euro 350.000 prize money for the Prix MAURICE DE GHEEST. Sunday 9th August 2015. LATIN AMERICAN RACING CHANNEL SPONSORED THIS SUNDAY’S RACING IN DEAUVILLE LA TOUQUES, invited by FRANCE-GALOP. 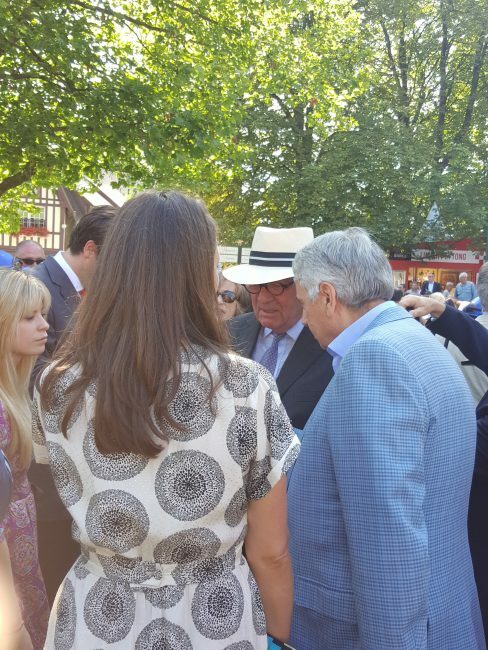 Lord Vestey,whose fortune derives from investments in Latin America, notably the Fray Bentos plant in Uruguay, was at the Deauville La Touques races on Sunday 9th August 2015, to see his horse COULSTY run, in the LARC Prix de Gheest, trained by Richard Hannon; but this year his horse, Coulsty, did not win, although, Deauville has been a lucky place in the past for Lord Vestey. Lord Vestey’s most well known race horses are Coulsty, Spirit Trainer & Aragosta. However, racing enthusiasts may associate Lord Vestey.s with Cheltenham racecourse, & the Gold Cup championships, where he was the Chairman for over 20 years until 2011. One of Lord Vestey’s homes, 6000 acre Stowell Park Estate, is a 20 minute drive from Cheltenham race course . Lord Vestey’s fortune derives from the significant cattle ranching & sugar cane interests in Brazil & Venezuela. The Vesteys exported Fray Bentos to Europe which was a staple food during the war. In July 2015 it was announced that the Fray Bentos meat packing plant in Uruguay has been named a “UNESCO WORLD HERITAGE SITE”. The site, Frigorifico Anglo del Uruguay stands all alone on the east bank of the River Uruguay. Opened in 1859 by the Germans, Liebig Extract of Meat co.(who invented the OXO cube) & passed into British hands in 1924.& started to export frozen beef. The Vesteys endowed the Vestey Professorship of Food Safety & Veterinary Public Health at the Royal Veterinary College, University of London. has been named a Unesco World Heritage site July 2015.